Posted by Jon in Hasbro, Marvel Legends, News with 1 comment. Hope you budgeted A LOT of money for your Marvel Legends collection this year! With no end in sight for the releases, Hasbro has just announced yet another set of exclusives. 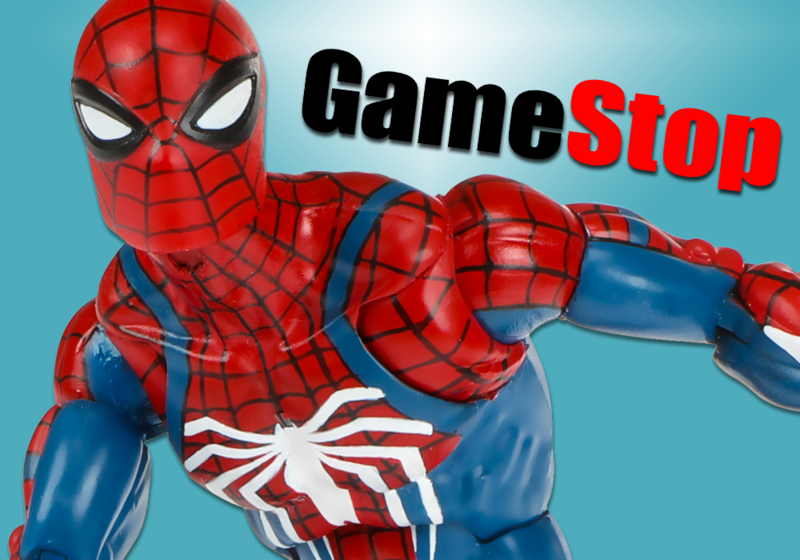 Gamestop will be the exclusive home for Spider-Man Gamerverse Marvel Legends based off of the upcoming Playstation 4 game by Insomniac Studios. We’ll be getting two new releases: a 6-inch Spider-Man and a 3.75-inch Spider-Man vs Mister Negative two-pack. Both sets are available for preorder right now at Gamestop.com. With the MARVEL LEGENDS SERIES, both kid and adult MARVEL fans can start a legendary collection of comic- and movie-based MARVEL characters. This 6-inch GAMERVERSE SPIDER-MAN figure is highly articulated and features a game-inspired design, making it another worthy addition to the MARVEL LEGENDS SERIES. Includes figure and 4 accessories. Additional figures sold separately. Available exclusively at GameStop. SPIDER-MAN takes to the streets of New York City to face villains like MISTER NEGATIVE, the ruthless gang leader of the Inner Demons and one of the most dangerous threats to ever sweep through the city. Imagine the web-slinging action of the MARVEL’S SPIDER-MAN video game with this MARVEL GAMERVERSE 3.75 inch 2-pack of figures, featuring game-inspired design and character-inspired accessories. Includes 2 figures and accessory. Available exclusively at GameStop, followed by other Fan Channel retailers. Boo for no 6 inch Mr. Negative!